Universal Channel: ''Extraordinary characters welcome''. ''Extraordinary characters welcome''. I can exclusively reveal first that ''Extraordinary characters welcome'' will be the brand-new slogan for the Universal Channel (DStv 108). The Universal Channel will start broadcasting on March 24 at 21:00 when The Hallmark Channel (DStv 108) changes it's name to Universal Channel and starts to use the new slogan for its line-up filled with crime-procedurals and quircky character driven shows such as House M.D, Being Erica and Psych above. Labels: Hallmark Channel, Universal Channel. M-Net developing a brand-new ''really unique'' soapie. I can reveal that M-Net is developing and working on creating a brand-new local soapie for South Africa. M-Net's soapie (and South Africa's longest running local weekday soapie) Egoli will sign off with its last new original episode on Tuesday 2 March at 19:30. M-Net is looking at creating a brand-new and unique soapie for South African viewers who can already choose between six local and five international daily soaps. BREAKING. SABC1 channel head, Ray Nkwe, replaces Gab Mampone. I can tell you first that SABC1 channel head, Ray Nkwe will be replacing Gab Mampone. After the sudden suspension earlier today of Gab Mampone as group executive: commercial enterprises at the SABC, it will be Ray Nkwe who will be stepping in on Monday to replace him. Ray Nkwe was the acting group executive for this division within the SABC for the time that Gab Mampone was acting group CEO of the SABC. Ray Nkwe and Gab Mampone both went back to their ''original'' jobs at the end of last year when Solly Mokoetle became the new permament group CEO of the SABC. I just spoke to Gab Mampone, the SABC's former acting group CEO and currently group executive for commercial enterprises, who was suddenly suspended by the SABC earlier this afternoon. Now I can give you Gab Mampone's reaction first. SABC board believes Gab Mampone involved in ''serious misconduct'', suspends him. Trade union Bemawu's reaction on suspended Gab Mampone. Support Public Broadcasting (SOS) reaction on Gab Mampone being suspended. SABC1 channel head, Ray Nkwe, replaces Gab Mampone. BLIND ITEM. Because it's late and it's Friday. Who - at a certain South African TV broadcaster - was on the verge of getting FIRED for literally ''POOR WORK PERFORMANCE'' a while ago, just to get saved - at the last minute - by the enigmatic Q---- and then moved elsewhere in the same TV institution. And not just moved, actually promoted UP in the world? Of course, when enigmatic Q---- left the said TV broadcaster in question a few months ago, all the support for poor work performer also disappeared and the cracks started showing. A select group of TV industry insiders are sipping cocktails this Friday afternoon, I'm being told. It must be because it was a hard and long week. SABC News International is NOT closing down. 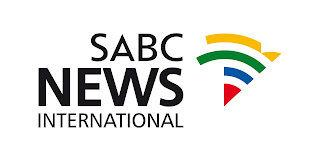 SABC News International, the SABC's 24 hour news channel, is NOT closing down. Despite the beleaguered SABC News International that was started with millions of rand and is burning a deep monthly hole as part of the SABC's huge monthly expenditure, the channel is not going to disappear. SABC News International has been removed from the Vivid TV platform (operated by Sentech) and can now be seen only intermittedly on SABC2 and SABC3 during a 24 hour day. However, no decision about the fate of the channel has yet been taken, the SABC tell me. ''At the moment we are looking at all the options surrounding SABC News International,'' Kaizer Kganyago, SABC spokesperson, tells me. BREAKING. ''They're all now under fire.'' More suspensions of high level executives at SABC looming. While the shock regarding the late-Friday suspension of Gab Mampone is reverberating through the South Africa's TV industry and the SABC which I was first to tell you about (RIGHT HERE), it seems that Gab Mampone will not be the only one suspended. Another highly placed source at the SABC told me that several executives are on the verge of being moved out of their positions that they're occupying now. According to this source, they will soon be publicly ''redeployed''. I know and have been given very specific names, but I'm rather not going to mention them here now. All I can say is . . . if you deal with some people at the SABC, make sure you're aware of who their colleagues are. Some of them are going to be gone very soon, and if you don't know who's the fall-back person, you're going to be in trouble. ''Without the previous board to protect them and [names mentioned here again from the previous SABC board] they [various SABC executives names mentioned here] are all now under fire,'' says this last source. BREAKING. SOS (Support Public Broadcasting) reaction on Gab Mampone being suspended. I can be first with reaction from Bemawu, the trade union at the SABC on the immediate suspension of Gab Mampone at the SABC. ''We're glad that the process to address bad management and misconduct continues,'' Hannes du Buisson, president of the trade union Bemawu, the biggest trade union in the SABC, just told me. BREAKING. SABC board believes Gab Mampone involved in ''serious misconduct'', suspends him. I asked first and I've got the first response from the SABC on the immediate suspension of Gab Mampone, the SABC's former acting group CEO that happened minutes ago and which I was first to report in the previous post in a MAJOR breaking story already sending shockwaves through the local TV industry late on a Friday afternoon. ''The board of the SABC this afternoon suspended the group executive: commercial enterprises, mr. Gab Mampone,'' the SABC tell me, confirming the shocking news. BREAKING. SABC suspends Gab Mampone. I can exclusively reveal first, that mere minutes ago the SABC has suspended Gab Mampone. Gab Mampone was the former acting group CEO of the SABC and has since been moved back to his former position at group sales and marketing when Solly Mokoetle took over at the beginning of January. Reaction from the SABC on this breaking news I just found out, the second I receive it. BREAKING. e.tv will be on On Digital Media's TopTV pay TV service. I can exclusively reveal first that e.tv will be one of the channels on TopTV. TopTV is the name of the pay TV service that On Digital Media (ODM) will launch in May in South Africa. I can confirm that e.tv will definitely be one of the channels. I can also confirm that e.tv and e.Sat won't be providing any other specific niche TV channels to ODM or TopTV once the operator commence its commercial broadcast in May. FIRST LOOK! Supersterre official photo for 2010. You're seeing it here first. On Tuesday I told you about SABC2's new season of Supersterre RIGHT HERE. Now I can be first to reveal the official new publicity photo of the presenters Patricia Lewis and Brandon October, with the coaches, Lianie Mey, Manuel Escorcio, Heinz Winckler, Gerhard Steyn and Bianca le Grange. The new and third season of Supersterre will start on Friday, 19 March on SABC2 and is also produced by Patricia Lewis. BREAKING. Top Billing loses Martha Stewart to All Access. Martha, Martha Martha. In the perpetual battle between weekly entertainment shows, I can exclusively reveal first that it now seems as if Top Billing on SABC3 has lost a Martha Stewart TV interview to All Access on M-Net. Top Billing was first to tout an interview with the American domestic diva currently in South Africa, only for M-Net's All Access to swoop in and now claim exclusivity. Mark Bayly from All Access had a sit-down with Martha Stewart in Cape Town and will most likely run that interview this coming Thursday 4 March at 19:30. Meanwhile Top Billing who also had a Martha Stewart interview scheduled for exactly the same date on SABC3, has suddenly went mum about Martha and now longer touts any such interview insert. BREAKING. SABC1 gets Respect. And HHP. R.E.S.P.E.C.T. Respect is what SABC1 wants and Respect is what SABC1 is getting. I can exclusively reveal first that SABC1 is in pre-production on sitcom called Respect with massive superstar HHP (Jabulani Tsambo). Sources tell me the half hour local sitcom should debut on 17 March on SABC1, but the starting date might still change because of SABC1 soccer coverage. The buzz within SABC1 as well as the industry about Respect? HUGE. 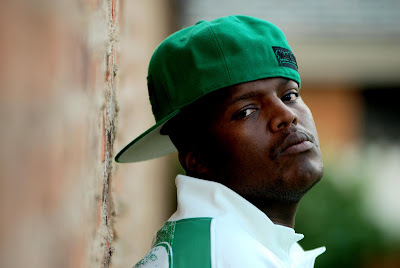 HHP won SABC2's reality show Strictly Come Dancing, has several Samas on his shelf and has a big fan base that SABC1 is secretly hoping will follow his to his own TV property. INTERVIEW: ''We see Africa overall as a growing region.'' - Discovery Networks on launching Discovery World and Discovery HD Showcase channels. Discovery Networks is expanding on its available channels in March. Discovery in Southern Africa grew with the recent addition of South Africa's second high definition (HD) TV channel Discovery HD Showcase (DStv 172) in December. The Discovery channel is also moving to DStv 121 to make space for the brand-new channel, Discovery World, starting on DStv 250 from March. I spoke to Caleb Weinstein, senior vice president and general manager of Discovery Networks for emerging markets such as Southern Africa. He explains the rationale behind Discovery's current channel expansion here, how the channels are different, whether further growth lies in the future and how Discovery sees its future prospects in the region. You will want to find out what he says about Discovery's high definition television offering, The Oprah Winfrey Network (OWN), how this TV region compares to others and the benefit of Discovery's new channel numbers. Click on READ MORE below for my comprehensive talk with Caleb Weinstein and what Discovery Networks is doing in Southern Africa. READ MORE ABOUT IT RIGHT HERE! I can bring you the VERY FIRST independent exit interview with Survivor SA Santa Carolina celebitant Sandi Schultz who got totally blindsided in this evening's episode and got voted out in one hectic drama filled sixth episode. I spoke with Sandi Schultz to ask her if she expected anything, how she felt in tribal council when her name started coming up and what she's learned about nature. She told me who she liked and who she didn't like so much, who she thinks is playing the game and will still go far, and has a surprising answer on what she'll want to say to whom at the live reunion show. For my full interview with Sandi Schultz, click on READ MORE below! BREAKING. Michelle Botes, Isidingo in talks to return as Cherel. Michelle Botes could possibly leave M-Net's Binnelanders and return to Isidingo on SABC3 as Cherel de Villiers-Haines. I just got positive confirmation of the huge rumour that has the industry completely abuzz. ''Endemol is in talks with Ms. Botes but nothing has been concluded yet,'' I'm told. ''Massive challenges'' waiting for SABC, special task team appointed. Dr. Ben Ngubane, chairman of the new SABC board told the parliament's communications portfolio committee that ''massive challenges'' are waiting for the public broadcaster. He told parliament that the new SABC board has taken over a public broadcaster where there ''have been failures of governance, failures of competence and, as a consequence, loss of public faith''. He said that all of the problems that is facing the beleaguered broadcaster constitutes ''a truly massive challenge''. Solly Mokoetle, the new CEO of the SABC said that a special turnaround task team had been appointed by the board. The board will be looking at renumeration of SABC personnel as well as the total personnel count throughout the public broadcaster. He also said that although the SABC would need to bring in some expertise, that the SABC is not looking at using consultants. BREAKING. Shaleen Surtie-Richards, Brumilda van Rensburg Thursday on All Access about the end of Egoli. 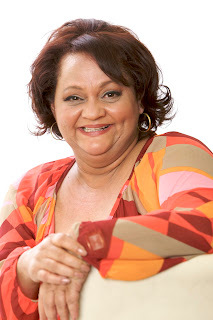 I can tell you first that if you're a fan of Egoli don't miss Thursday night's episode of All Access at 19:30 on M-Net when Shaleen Surtie-Richards and Brumilda van Rensburg will be in the All Access studio to talk about the end of longrunning soapie Egoli. Earlier today RIGHT HERE I told you about the final episode of Egoli going out on M-Net this coming Tuesday at 18:30 on M-Net which you simply HAVE to watch. SABC2 confirms hosts, judges and coaches of new Supersterre season. I can't say you're reading it here first, because this reality TV production has just simply been leaking bucket with everything about it since I was first way back in December to tell you RIGHT HERE that Supersterre with Patricia Lewis will be back on SABC2 for another season. ALmost everything about it has been an open secret for months and week now, yet SABC2 has just finally confirmed some stuff about the new season of the reality song contest. Patricia Lewis and Brandon October will be the two presenters (you might have seen them together Saturday night at the Saftas when Patricia refused to say what her favourite soapie is). Because Niekie van den Berg went all political, the judges this season will be Sharleen Surtie-Richards, Theuns Jordaan and (new!) Casper De Vries. The coaches will be Heinz Winckler, Bianca le Grange, Lianie May, Manuel Escorcio and Gerhard Steyn. HOT RUMOUR! Is Michelle Botes returning to Isidingo as Cherel de Villiers-Haines? Is Alexis plotting an evil return after she imprisoned the poor daft Crystal in a clinic in Switzerland, ready to slam her clutches into Blake who she will finally have all to herself? Oh wait. Wrong soapie. The industry is absolutely abuzz with the rumour and speculation that Michelle Botes might be returning to Isidingo very soon. Michelle Botes, known for her iconic role as Cherel de Villiers-Haines in SABC3's Isidingo, left a few years ago to join M-Net's Binnelanders. Now tongues in the industry are wagging that Michelle Botes could be returning to her former soapie. I've asked both M-Net and SABC3. If I get an answer, you'll read it here. BREAKING. XOXO . . . SABC3 has Gossip Girl. Gossip Guy here. Hey all you upper east TV watchers. I can exclusively spill first that SABC3 has Gossip Girl. How do I know . . . well you know I'll never tell. The 3rd season of Gossip Girl is currently on Wednesdays at 20:30 on Vuzu (DStv 123) but SABC3 which has had the free-to-air broadcasting rights for a little while now is finally going to show the first season of Gossip Girl and will catch up faster than a SMS through the school about Blair's new scandal. 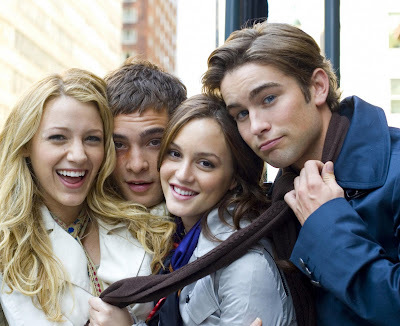 Anyway, the first season of Gossip Girl is set to start on SABC3 on Monday, 5 April at 21:00. Episodes will go out Mondays to Wednesdays. Binnelanders on M-Net goes bigger with new sets, actors. M-Net soapie Binnelanders started filming on the new and expanded sets yesterday to gear up for the hour long episodes that M-Net will broadcast from April with a bunch of new actors. Sources tell me that Binnelanders episodes are now only filmed a few weeks into the future and no longer so far from the current broadcasting date. Last week journalists at a press function in Johannesburg were all talking about what they know. Journalists also discussed the new sets, the new universe the show is expanding into, and the new actors joining the show. The biggest name that was thrown around was actress Jana Cilliers joining Binnelanders, and the somewhat older news of Terence Bridgett also joining the show and who got people mad for talking about it before he was supposed to. Other names thrown out there by loose lips during the day last week of actors who have joined the expanded Binnelanders included Nick Boraine, Michelle Pienaar and Carl Beukes. I haven't had the time or the desire to check and verify each of these names, although I can tell you I have heard Jana Cilliers mentioned before this past Thursday. I have now officially asked M-Net about these names and if I get an answer I will let you know.